About Us – Premiere Racing, Inc. Founded on March 14, 1996 by Peter Craig with offices in Marblehead, Massachusetts. Premiere Racing’s primary business is sailboat racing event management. In recent years the company’s primary focus has been superyacht racing events. The company manages the SuperYacht Racing Association (SYRA) where Craig is the Executive Director, and the top regatta on the global superyacht racing circuit, the St Barths Bucket. Premiere Racing is responsible for all aspects of this preeminent international superyacht event, including promotion, sponsorships, shoreside activities and race management. Craig and his company were instrumental in establishing the SYRA in 2011. This association now has over 70 members and is actively involved in establishing policy for superyacht racing worldwide with a focus on safe sailing and fair racing. 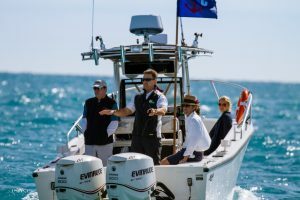 Craig is active with race management for conventional top tier regattas such as the Yacht Club Costa Smeralda’s annual Maxi Yacht Rolex Cup and bi-annual Rolex Swan Regatta. He also manages the racing at numerous superyacht regattas, including the Loro Piana Caribbean Superyacht Regatta, Perini Navi Cup, Loro Piana Superyacht Regatta, Candy Store Cup (formerly the Newport Bucket), Dubois Cup, Shipyard Cup and Pendennis Cup. Among other regattas that Craig has served as Principal Race Officer are the 2015 Maxi 72 World Championship, 2014 Rolex Swan 45 World Championship (Porto Cervo, IT) and 2008 TP52 World Championship (Lanzarote, Canary Islands). Craig was the Stopover Manager for the 2009 Volvo Ocean Race in Boston, Massachusetts and Local Race Director for the Volvo Ocean Race – Chesapeake Bay stopovers (2000 / 2003 / 2006). Prior to 2016, the company owned and managed the major international annual sailboat regatta, Key West Race Week, held in January. Craig managed the on-water portion of Yachting Key West Race Week in the capacity of Race Director beginning in 1994. 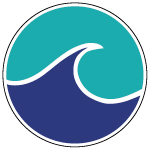 In 1997 Premiere Racing took over management of all aspects of the Key West event, including shoreside activities, sponsorships, on-water and fiscal responsibilities. During this time the event experienced dramatic growth in size and stature and established itself as the premier annual sailing regatta in North America and one of the very top events worldwide. The Storm Trysail Club now manages this regatta. 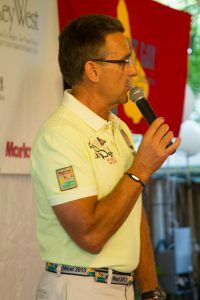 Craig served as Director of Operations for the America3 Foundation and prior to that was Deputy Director of US SAILING, the national governing body of the sport. He is an accomplished racer and lifelong sailor. His sailing resume includes the successful America’s Cup defense in 1992 and two Maxi-Boat world championships. A 1978 graduate of the U.S. Naval Academy, Craig participates in ongoing Academy support as a member of the Fales Committee, advising the Superintendent on sailing matters. He lives in Marblehead, Massachusetts with his wife Tricia and their three children.